There are about a million different ways to sync posts between various different social media platforms and no doubt there are several that are better than this one but I didn't really want to start using a new tool like Buffer, etc. and I was already using IFTTT so here is what I did and why. Pictures are much more engaging than text so this was not going to fly. Here is what I do now. And so far it's working great! I turned off the Twitter/Facebook connection in my Twitter settings. I turned off the IFTTT applet that posted my Instagram photos to Twitter. 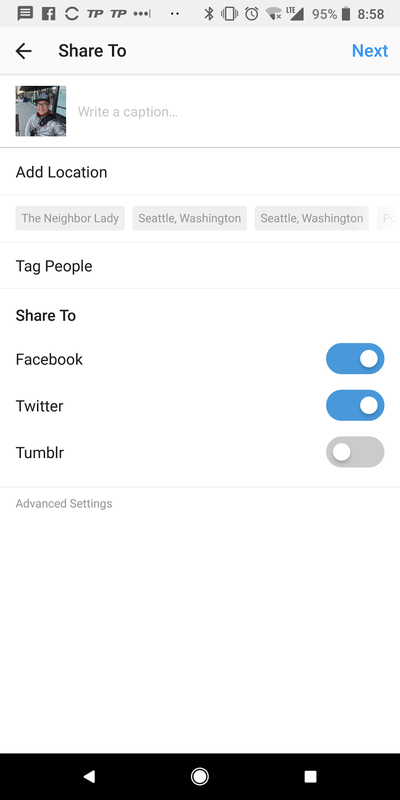 Now when I post to Instagram, I just toggle on sharing to Twitter and Facebook in the Instagram app. What about when Instagram is not involved and I just want to share a Tweet on Facebook? 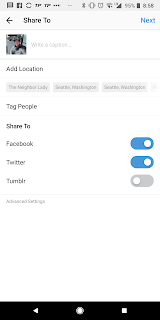 For this I went back to IFTTT and use an applet that posts to Facebook when I use a specific hashtag (which I can specify), it even strips the hashtag from the Facebook post. This works for me but any/all comments are welcome if you have a "better" way to sync these three social media platforms. And if you know how to add Google + let me know! Turns out Buffer really is the way to go. When I share an Instagram post to Facebook and Twitter, the image or movie is not displayed in Twitter and instead, you just get a link. But in this age of record short attention spans, if people can't see the image they won't click the link. If I share a picture or movie using Buffer and share it to Twitter/Instagram/Facebook, all three services display the picture. Yes! As of this update, Buffer will unfortunately not share to G Suite Google + pages meaning if you have a Google + page that is using a custom domain like mydomain.com, Buffer can't share to it. You can only share to Google + if you use Gmail (myname@gmail.com). Hopefully, that gets resolved soon.